KidneyDiet®, a smartphone app designed to help people with kidney disease make good decisions about the foods they eat, was recently named as one of the “10 Best Health Apps” by Yahoo! Health. KidneyDiet allows individuals with chronic kidney disease to monitor nutrients in their diet, in particular intake of phosphorous, potassium, protein, and fluids. 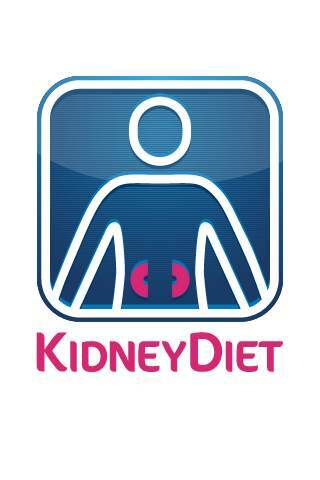 KidneyDiet helps individuals follow the guidelines set by their doctors or renal dieticians. Using the app’s Daily Diary, patients can be assured that KidneyDiet will alert them when consuming too much of a particular nutrient. To view the Yahoo! Health article, go to health.yahoo.net/experts/dayinhealth/best-health-apps. For more about KidneyDiet, visit http://www.kidneydiet.com. KidneyDiet, a product of Pain Free Living, Inc., streamlines and tracks foods eaten, helping people make healthier diet choices for their condition. 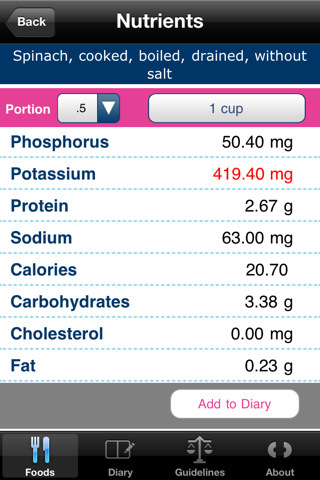 KidneyDiet has received an “Editor’s Pick Listing” by AppCraver and has been featured in Davita’s Kidney Diet Tips blog. It is available in the Apple Store and Android Market. The KidneyDiet app home screen is shown.KidneyDiet home screen A screen shot of the KidneyDiet app is shown.Screen shot of KidneyDiet app.